From a Las Vegas chapel wedding to an outdoor ceremony, Las Vegas Strip Weddings will help create a lifetime of memories. 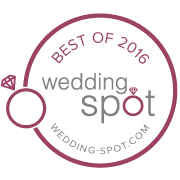 Everything that you need for your wedding, including the most popular las vegas wedding ceremony spots, are available. We offer beautifully customized packages that will make an everlasting mark on you and your guests forever. We want to make your planning simple by using our services. Our packages are tailored to your specifications. We are a full-service wedding company and also offer gown and tux rental, and hair and makeup. With our top-quality Las Vegas wedding photography services, full photo shoots are available upon request. If you are considering wedding chapels in Las Vegas, there are several affordable packages. We also can assist you with coordination. We also offer complete Las Vegas Outdoor Wedding Packages. Elegance, passion, love and remembrance makes a wedding ceremony an experience to cherish for your entire life. We have scenic packages for your wedding that include The Valley of Fire, Red Rock or Lake Mead, and the World Famous “Welcome to Las Vegas” sign. Whether it be the excitement of the neon lights or the mystical desert, be assured that every detail is addressed. Embrace the simplicity of having your Las Vegas Strip Wedding met to perfection. After you have chosen a wedding ceremony venue in Las Vegas, you’ll want to capture the moments that you can cherish forever. That’s where our photography/videography services personalize your wedding story and create beautiful memories. Receiving such high-quality services for your wedding has never been this easy! So why worry about your big day? Hurry and plan up! Happy married life!